Changes in vehicle design and manufacture have resulted in changed fluid requirements for our vehicles. With the sophistication of engines, transmissions, differentials, etc., it's best for Sumter residents to always use the proper type of fluid for their vehicle. Using incorrect fluids can actually damage your engine. As engines have become more sophisticated, new weights (or grades) of engine oil have been introduced. Today, there is a much wider range of weights for engine oil as well as a variety of formulations for different types of engines. Transmission fluid, brake fluid and coolant/anti-freeze have changed because the materials that go into making the systems they protect have changed. The fluids in our vehicles generally have two jobs: to lubricate and to prevent corrosion. The fluids formulated for your vehicle are specifically designed to protect the materials that make up its engine parts. Using the wrong fluid may leave some parts vulnerable to corrosion. Further, using the wrong fluids can also void your vehicle's warranty. 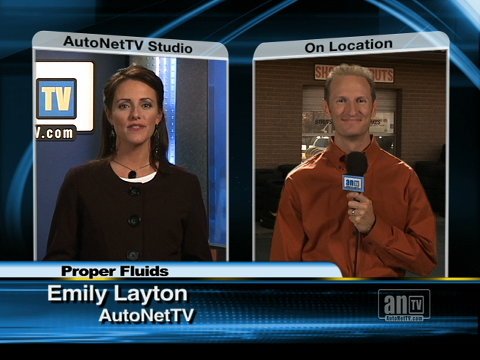 So Turner's Garage & Transmission recommends Sumter drivers follow the fluid recommendations in their owner's manuals. Vehicle fluids, including engine oil, are also designed in special formulas for higher mileage vehicles. These formulas contain additives that help clean older engines and transmissions as well as recondition older seals and gaskets. These fluids are perfectly okay for your vehicle as long as you match the original fluid recommendations in your owner's manual. In other words, a high-mileage oil is fine as long as it is the same weight as the oil recommended by your vehicle's manufacturer. Good vehicle care always includes proper attention to your vehicle's fluids. Understanding and using correct fluids will keep your vehicle running well and will help prevent early corrosion and wear of vital engine parts. Talk to your Turner's Garage & Transmission service advisor for more information.